Will Millard investigates Cardiff's hidden history, gaining unprecedented access to long-forgotten gems to reveal how it went from a tiny town to a thriving city. Adventurer and writer Will Millard investigates Cardiff's hidden history in this urban exploration of the Welsh capital. On an exhilarating and sometimes dangerous journey, Will goes in search of the lost stories that show how Cardiff went from a tiny town to the thriving city it is today. 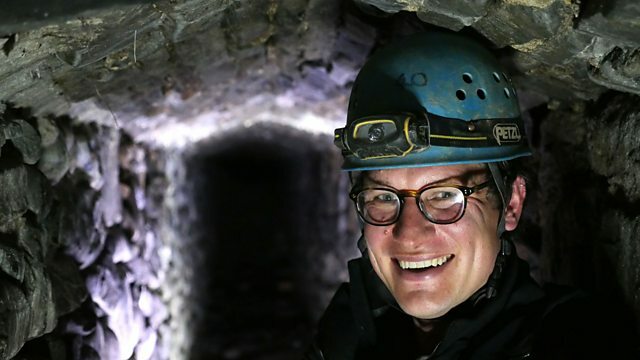 From concealed tunnels and nuclear bunkers to a covered canal and derelict buildings, Will has unprecedented access to discover long-forgotten gems that reveal the city like you've never seen it before. A collection of content that explores Wales.